If you’re like most homeowners, your attic is costing you money, and you don’t even know it. Your attic is one of the most commonly-overlooked expenses. Creating an energy-efficient attic can lower the amount of money you spend on your energy bill each month, while also making your home more comfortable. One of the biggest misconceptions about attics is that they are solely for storage. Attics are typically where people keep their holiday decorations, old furniture, and other odds and ends that aren’t used on a daily basis. However, this is not the original purpose for which attics are intended. The primary function of the attic is to regulate the temperature of your roof. In colder environments, for example, the heated conditioned space of your attic helps melt snow that has accumulated on your roof, thereby preventing your home from getting too cold during the winter months. When the weather is hot, the attic expels hot air to lessen the load on your HVAC unit. If your attic is efficiently removing hot air, your HVAC unit won’t have to work as hard to keep your home cool. There are two ways that your attic can ventilate your home: natural attic ventilation and attic fan ventilation. Natural attic ventilation is a process that involves installing insulation and then letting air enter your home through your vents. Natural attic ventilation is one of the most effective ways to make your home more energy-efficient. If you use insulation and air sealing techniques, you can prevent your home from becoming too cold. During the summer months, natural ventilation moves hot air out of your attic, which protects your roof shingles. The natural ventilation will also prevent heat from entering your home. Fan ventilation uses fans to cool down your attic by pulling in cold air from the outside and pushing the hot air out. You want to make sure that you use air sealing to prevent conditioned air from going into your attic. If an excessive amount of conditioned air enters the attic, your HVAC unit will have to work harder, which can result in increased energy bills. If you’re not paying attention to the energy efficiency of your attic, you’re probably losing more money than is necessary. The first thing you should do is to stop using your attic for storage. This might be difficult if you don’t have storage space elsewhere in your home, but if you can manage to free up space in your attic, you will save money on energy costs. Most people tend to place storage items on the attic floors. While this may seem harmless, it prevents you from maximizing the efficacy of your insulation. 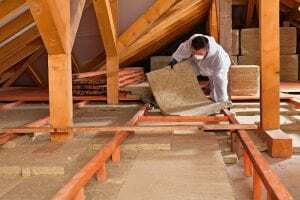 The insulation under your floors helps, but if you want better energy efficiency, you can remove the attic floors and add extra layers of insulation. 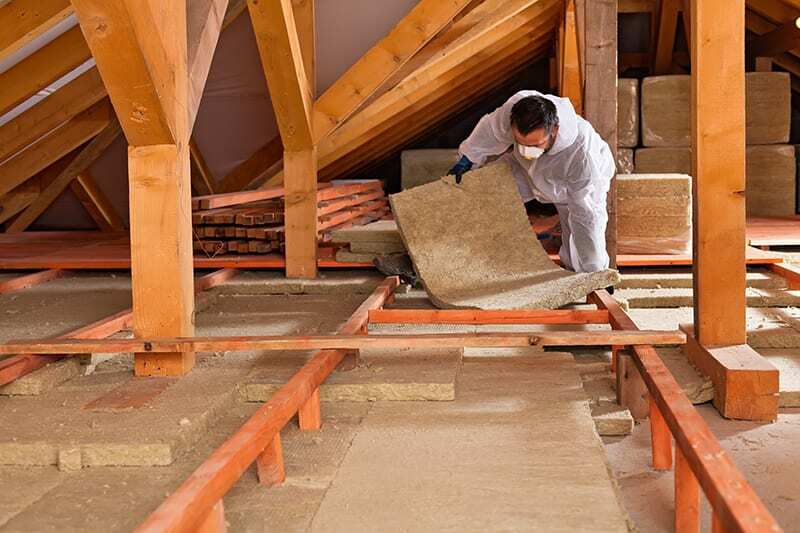 Adding more insulation in your attic can also help balance out uneven temperatures in various rooms of your home. This is a complicated project, and while you could do on your own, it’s better to hire a professional to ensure that sure the insulation is installed properly. Air sealing is another technique that can significantly improve the energy efficiency of your attic. This method can also work in the rest of your home Air sealing involves sealing any spaces through which air can escape, typically on windows, doors, and plumbing. An insulating spray can get the job done effectively. On plumbing and ducts, caulk will work fine. Should I Remodel My Attic? If your attic isn’t energy efficient, you are likely paying more on your monthly energy bill than necessary. Creating an attic that conserves energy will not only lower your energy bill, but it will also preserve your HVAC unit. And the less your unit has to work, the longer it will last. In some cases, an energy efficient attic can give you tax breaks and rebates, which is especially beneficial if you make the rest of your home energy efficient as well. If you’re interested in lowering your energy bills and giving every room of your home even temperatures, contact DryHome today for an attic evaluation.